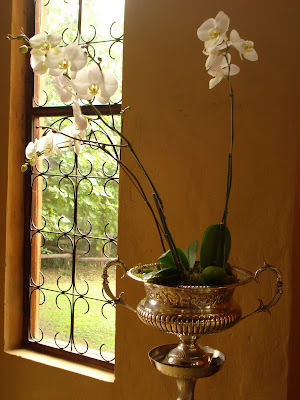 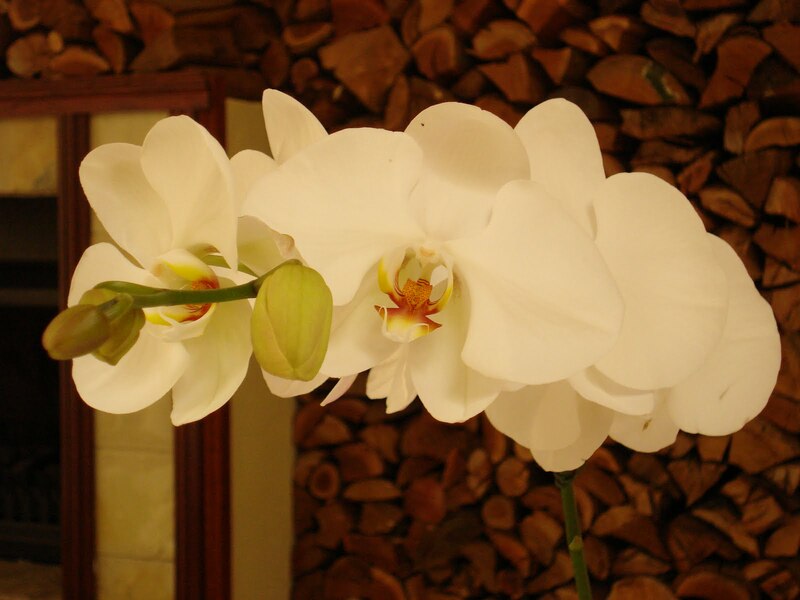 " Classic white orchids in silver bowls - with a touch of Royal blue to bring in a bit of colour "
22 December 2010 - Florin Venue.
" 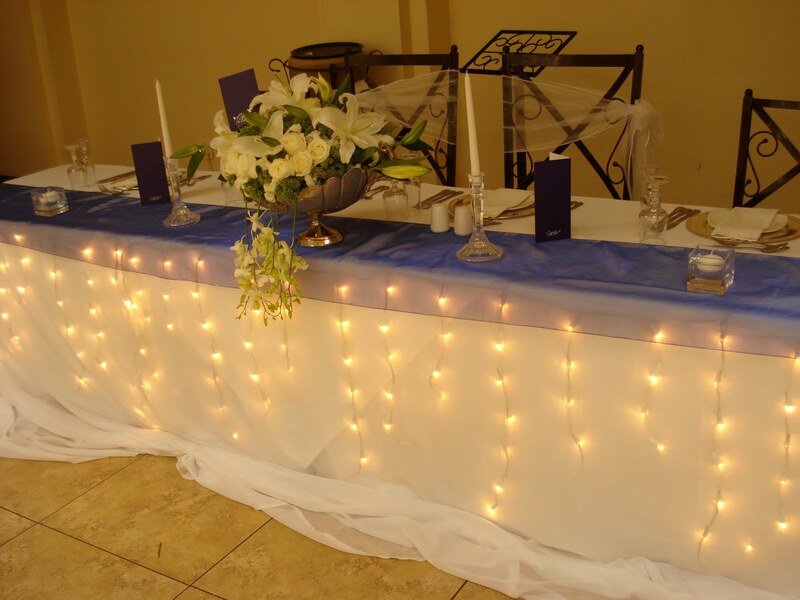 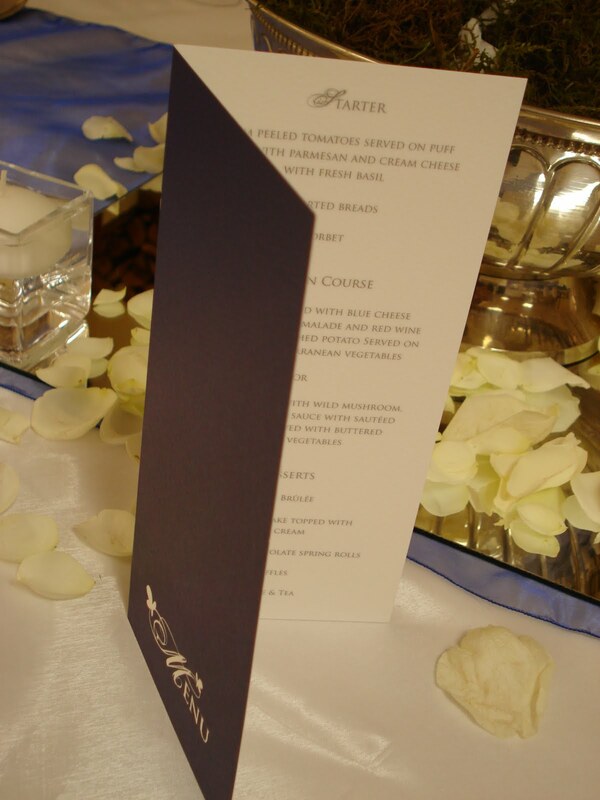 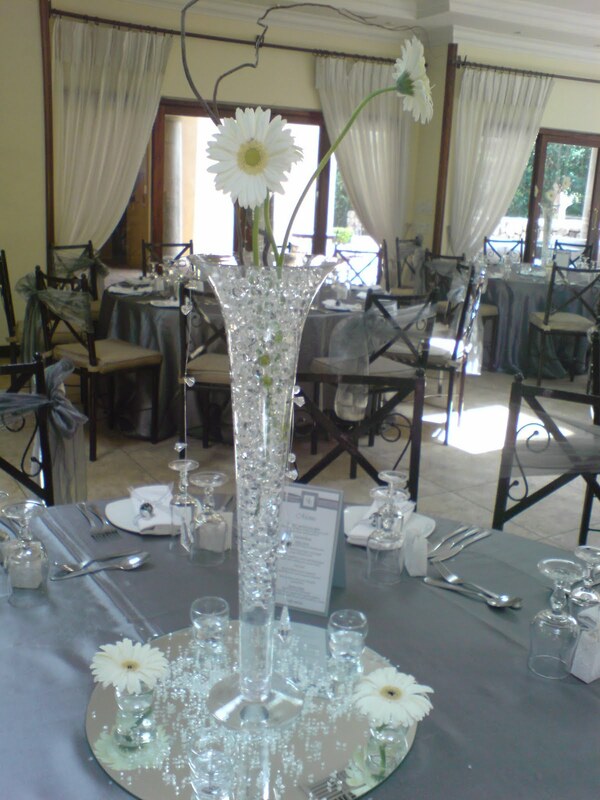 Silver and white colour scheme topped of with very simple flowers which looked stunning!" 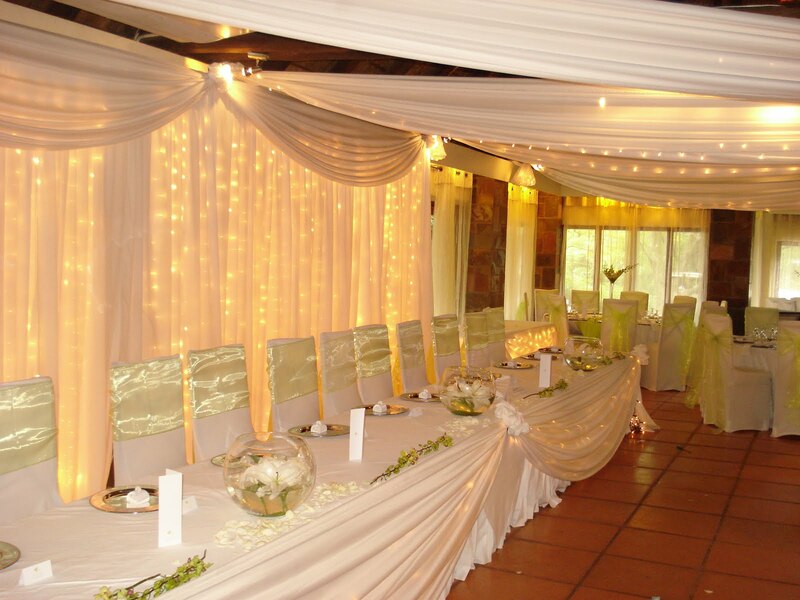 " Linda and Calvin managed to plan their whole wedding all the way from the UK and did a very good job of it! 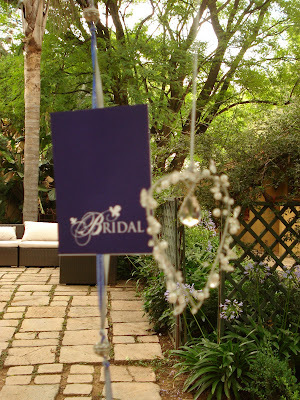 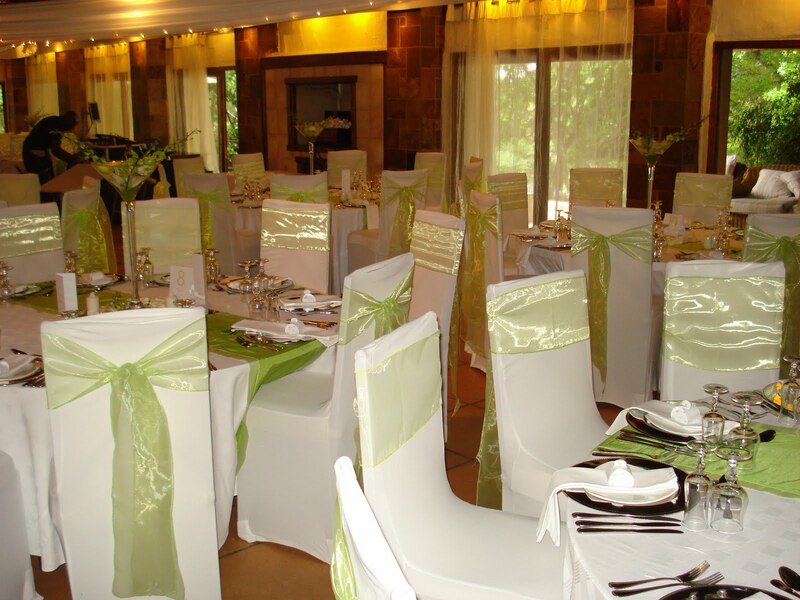 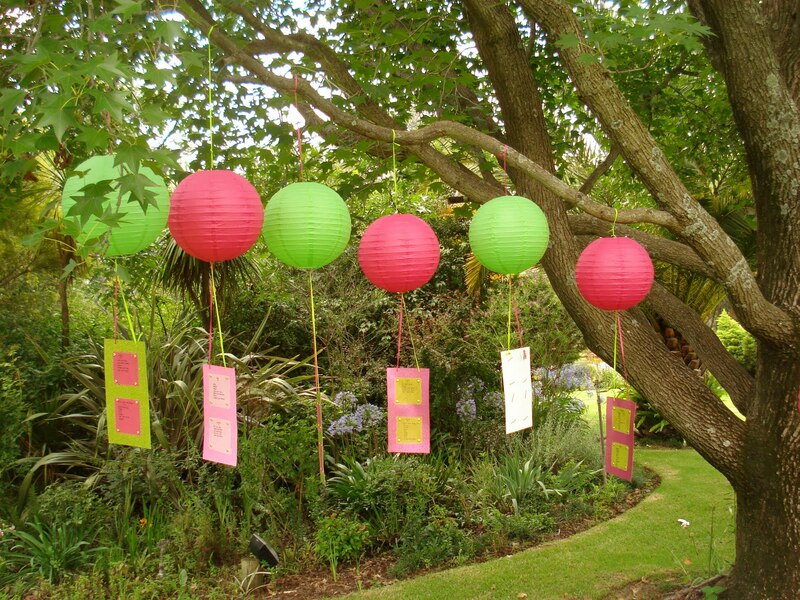 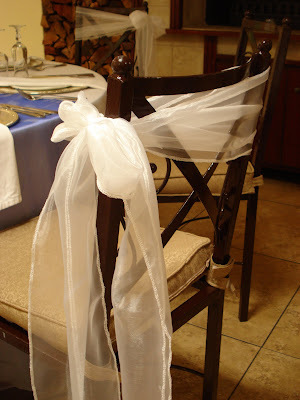 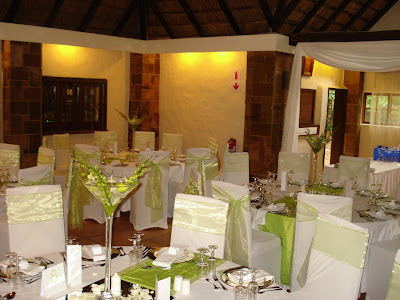 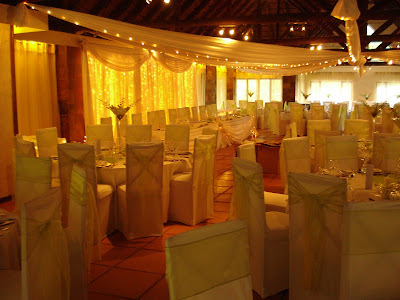 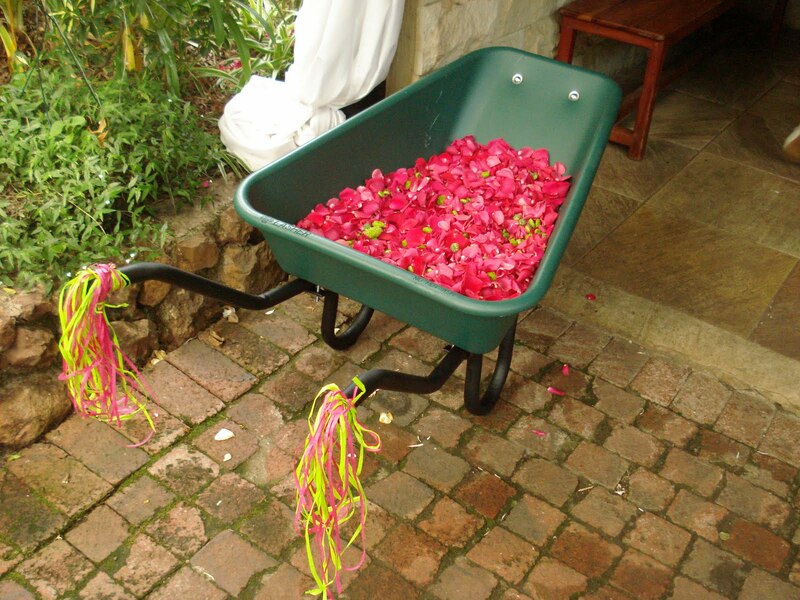 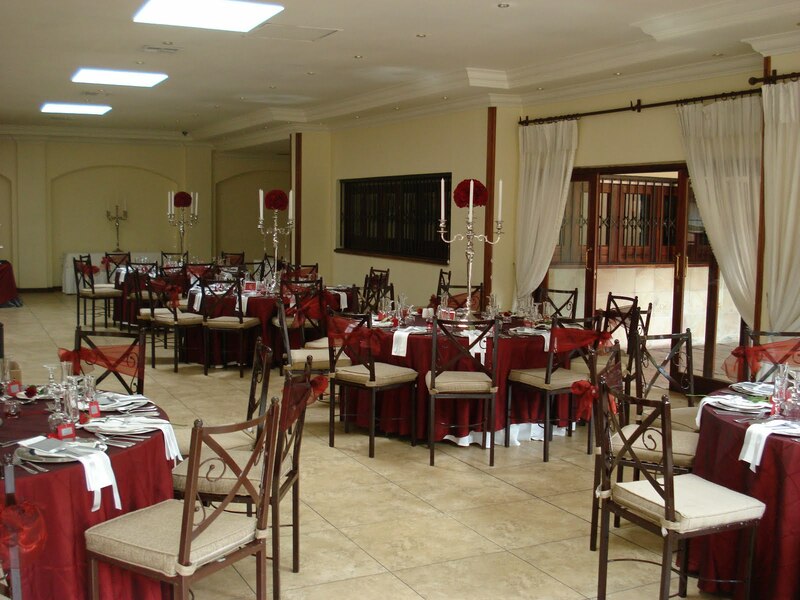 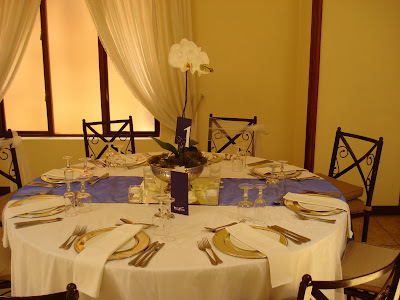 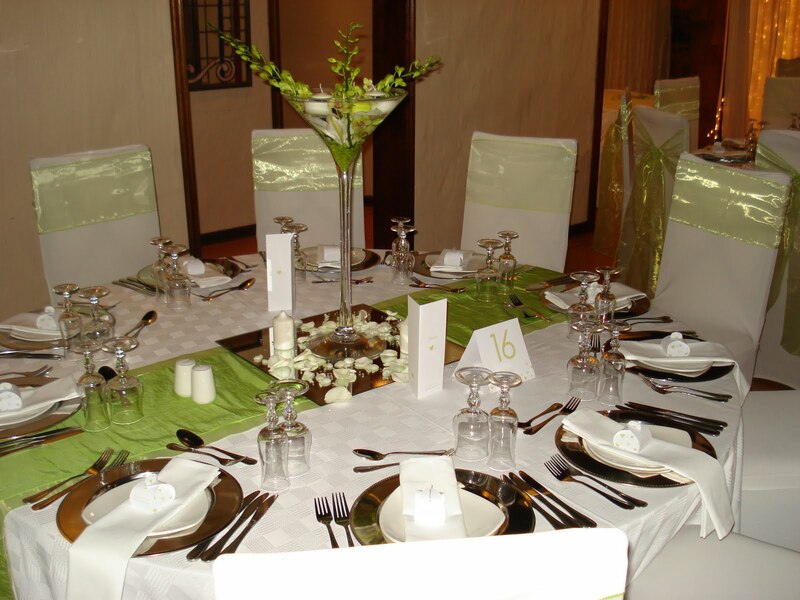 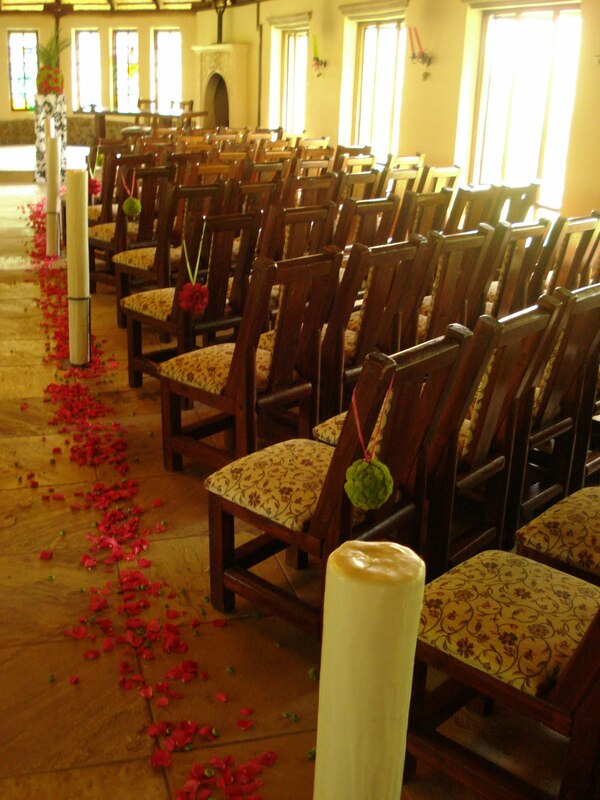 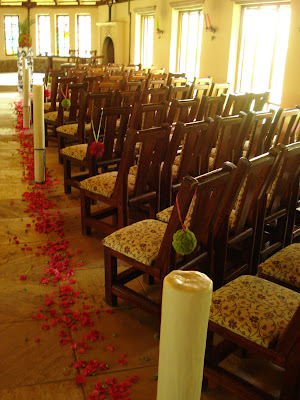 Having everything draped in white with white chair covers really made the lime green colour scheme stand out. 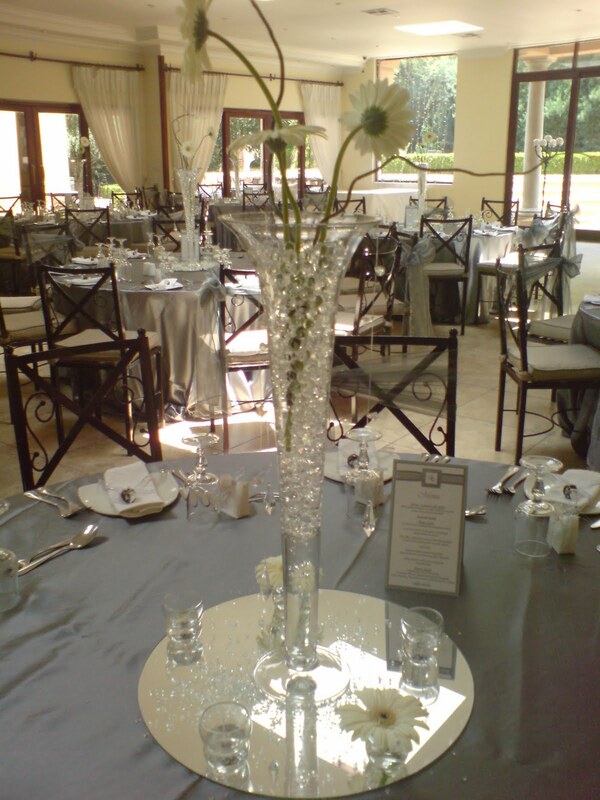 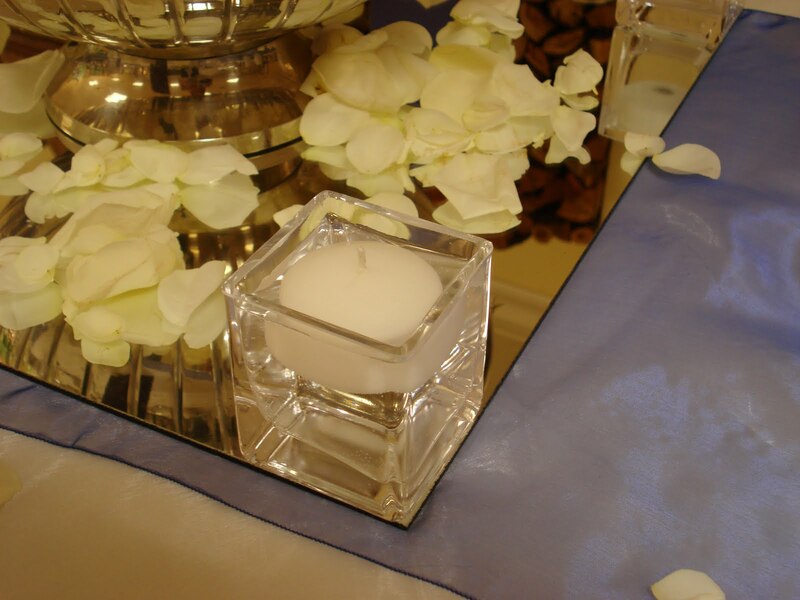 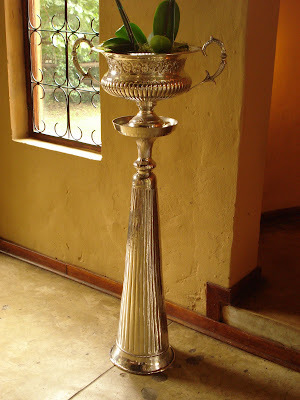 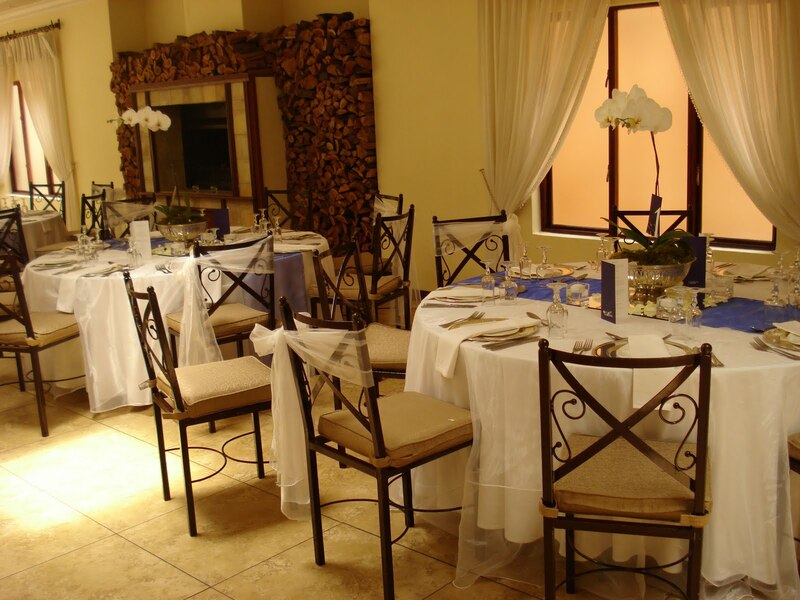 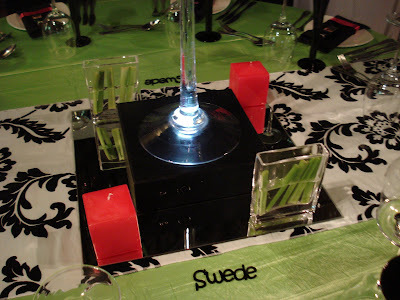 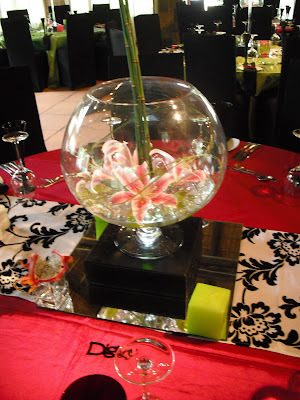 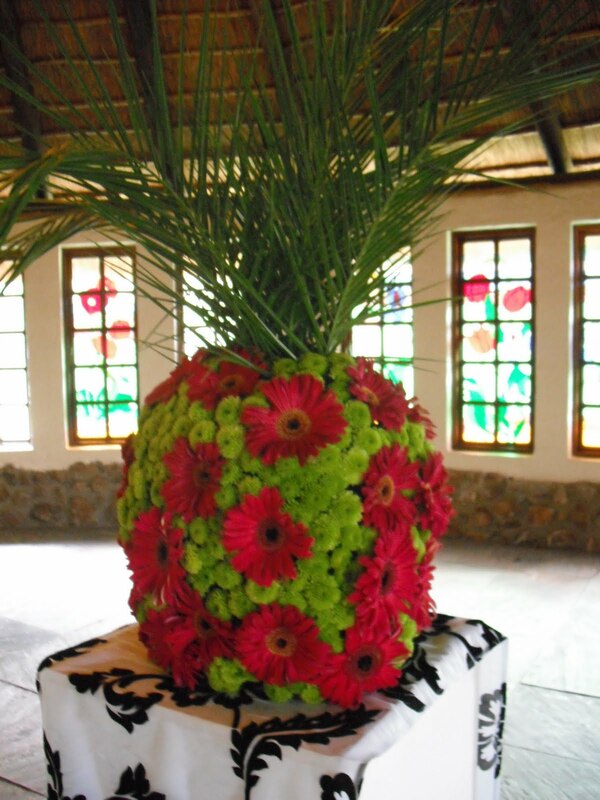 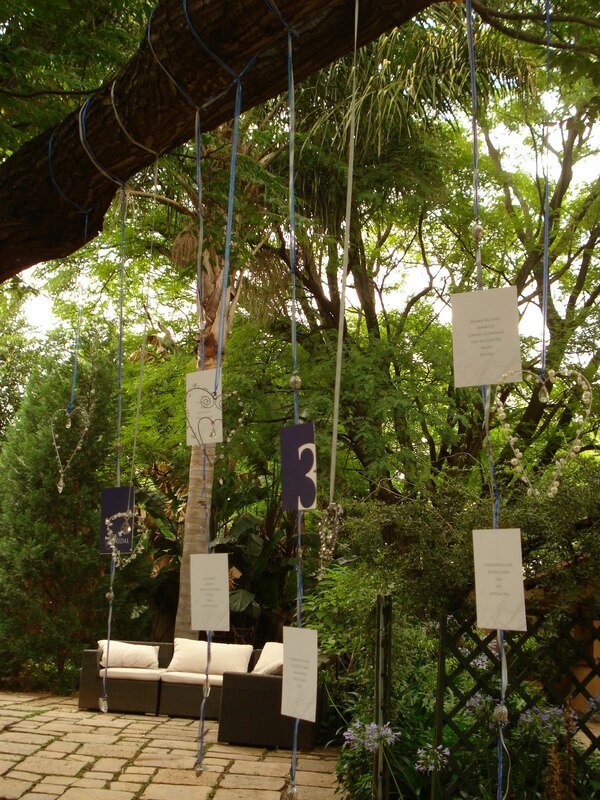 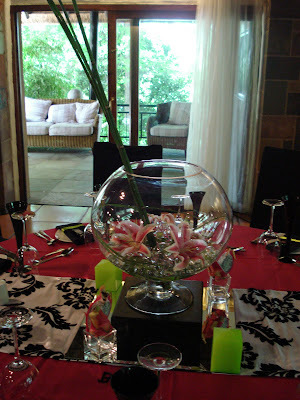 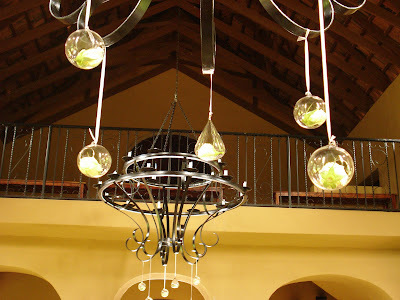 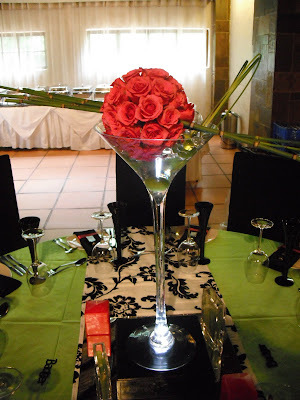 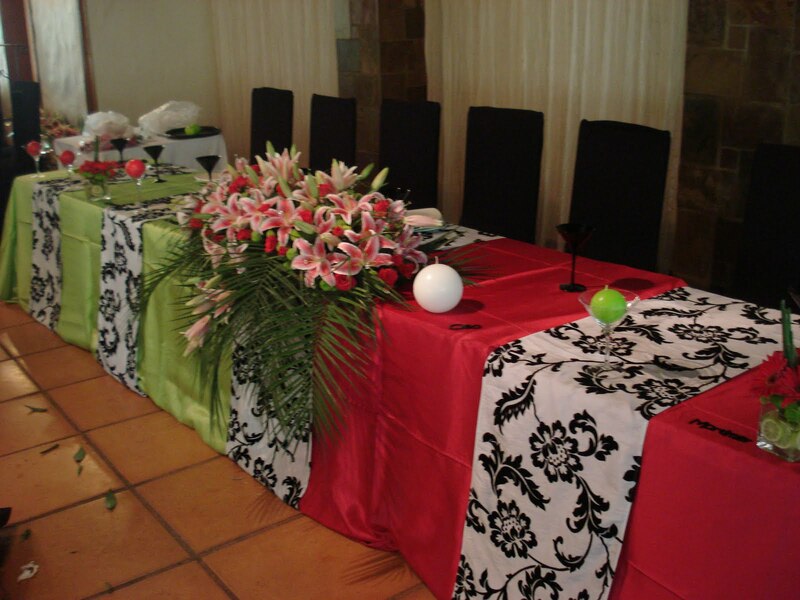 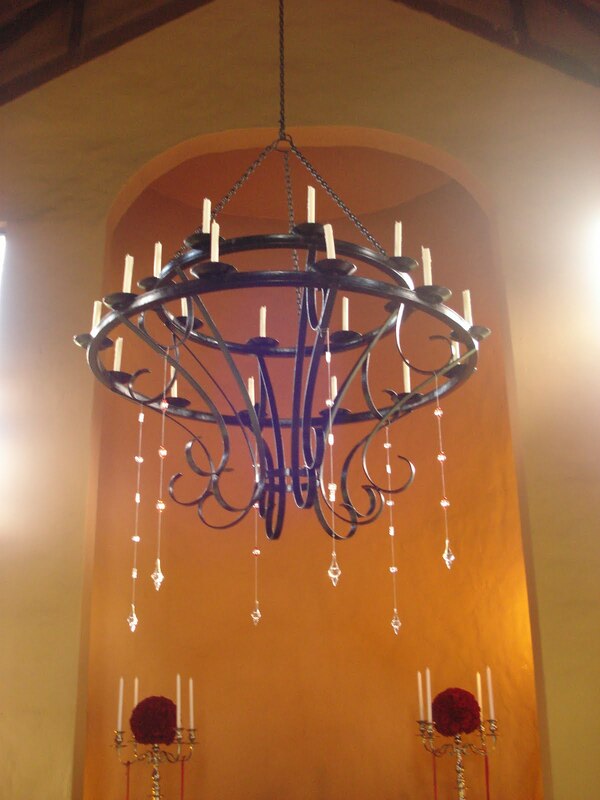 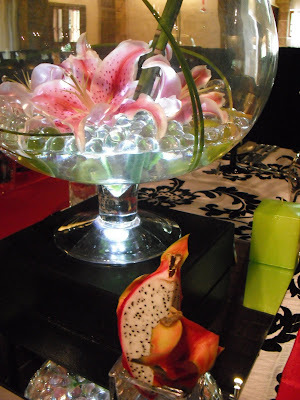 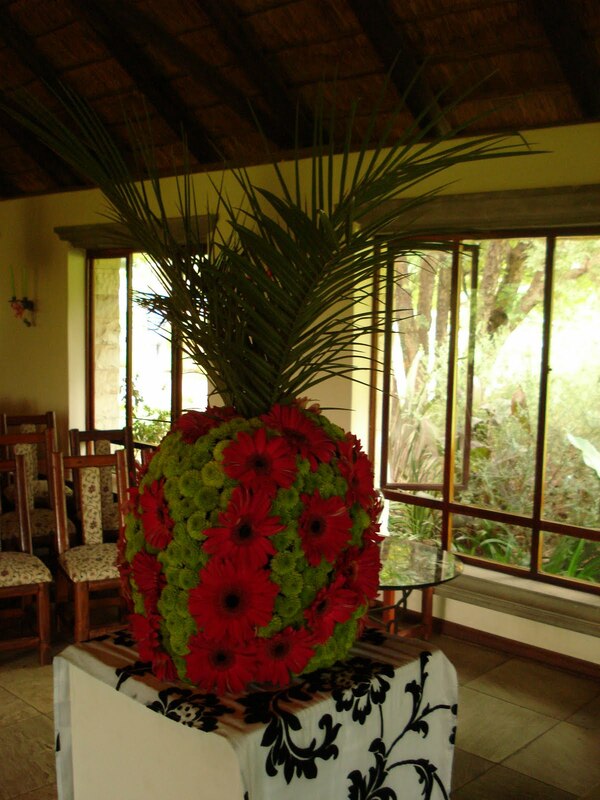 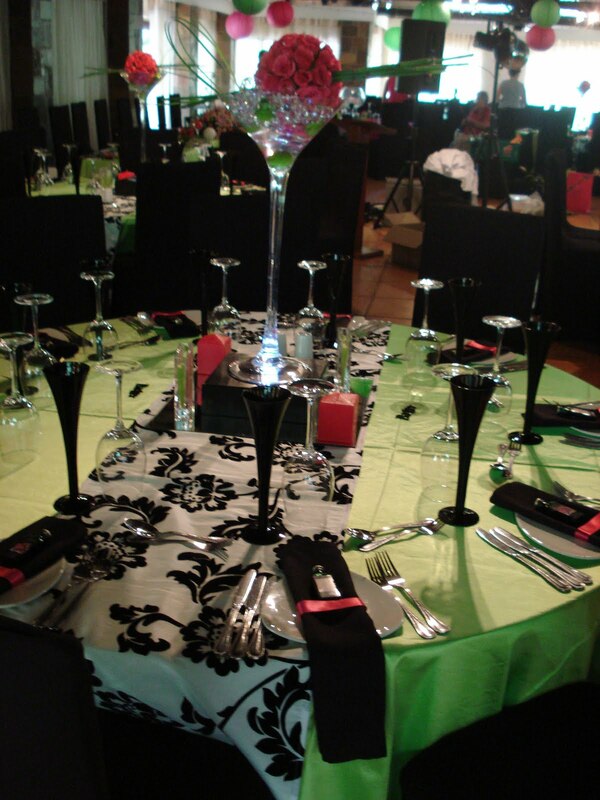 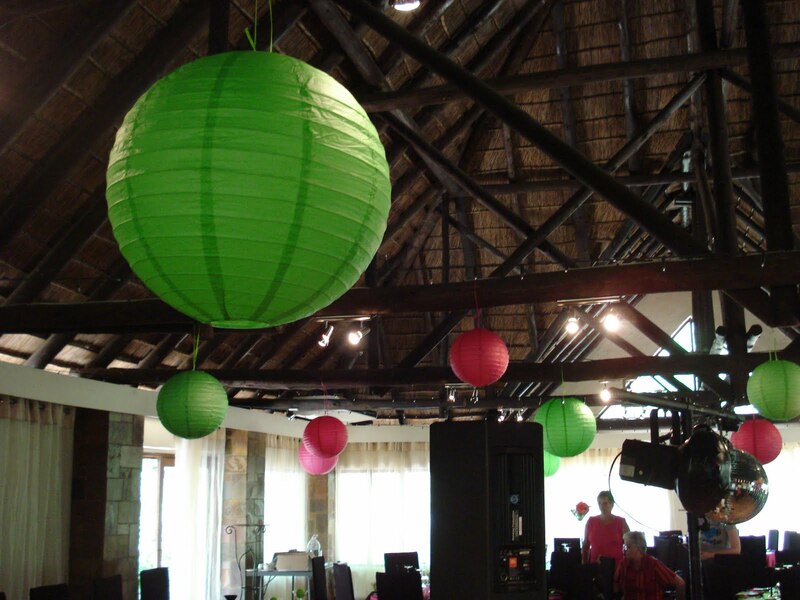 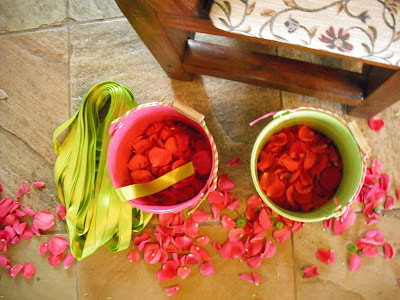 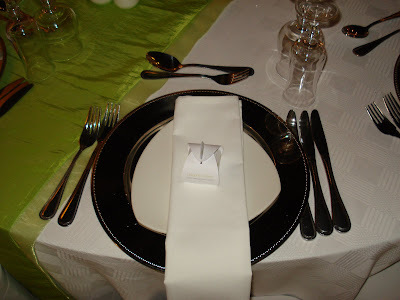 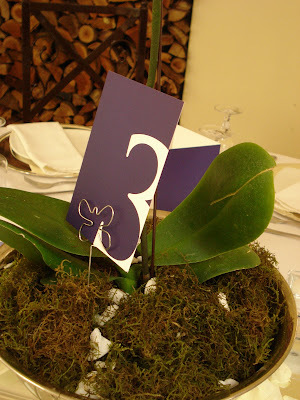 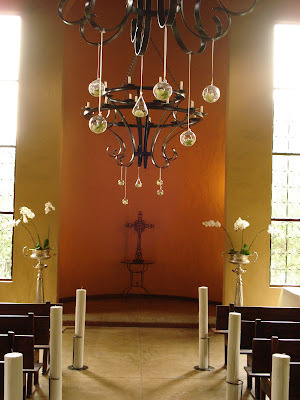 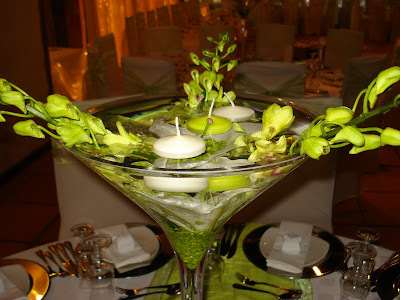 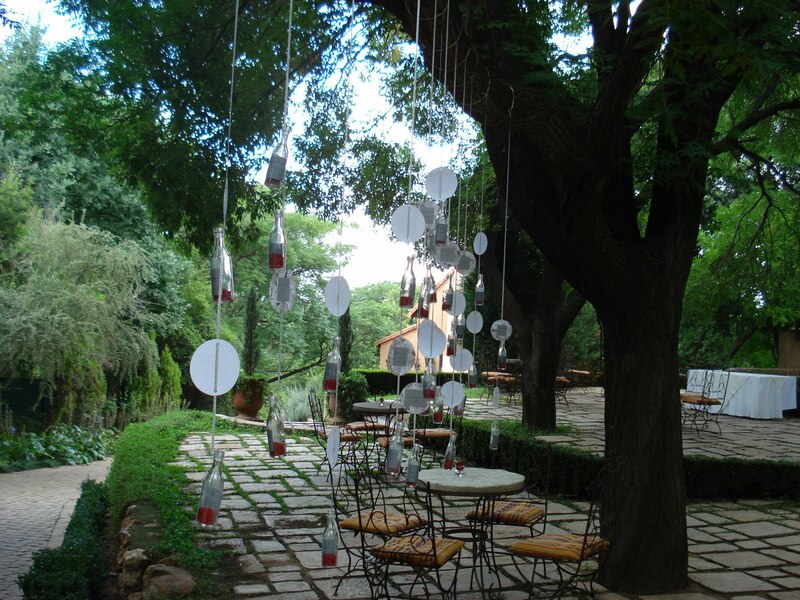 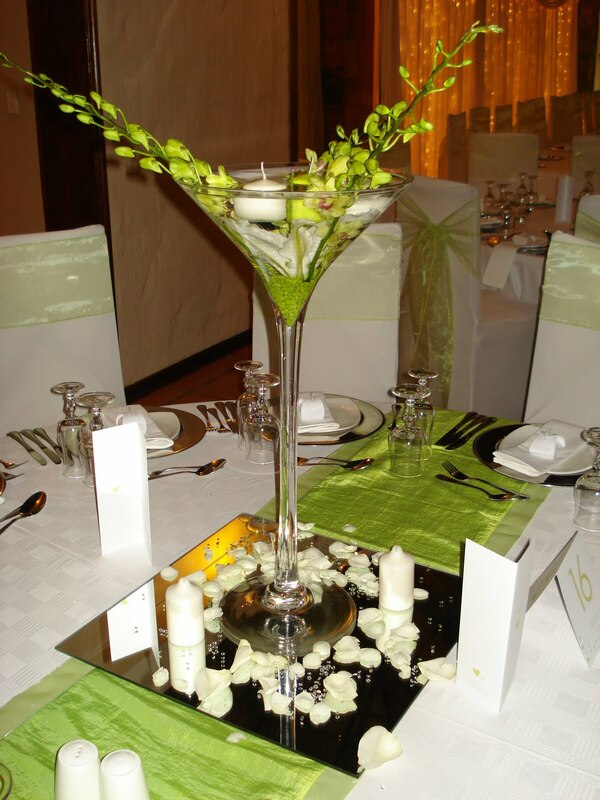 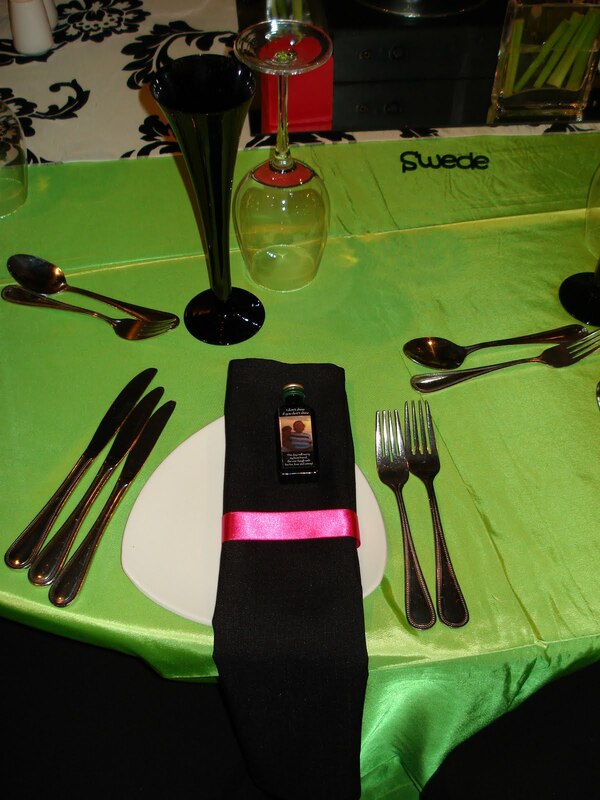 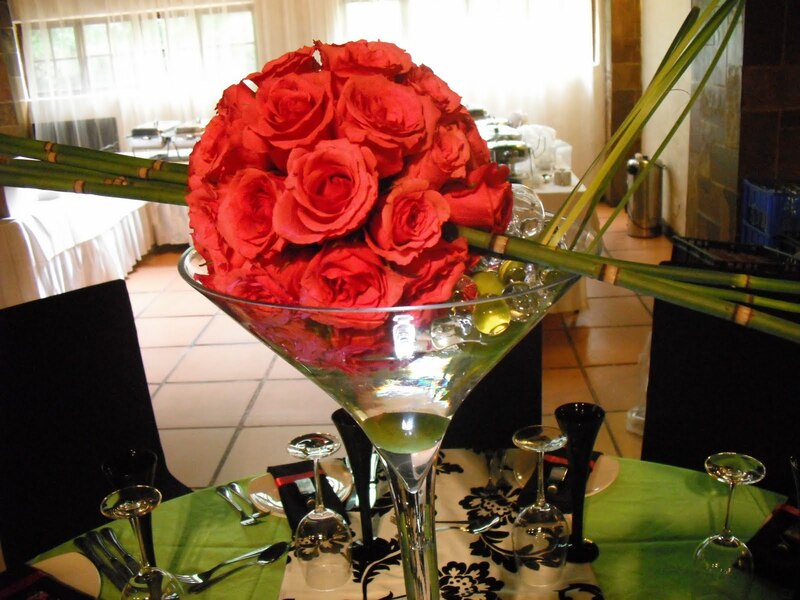 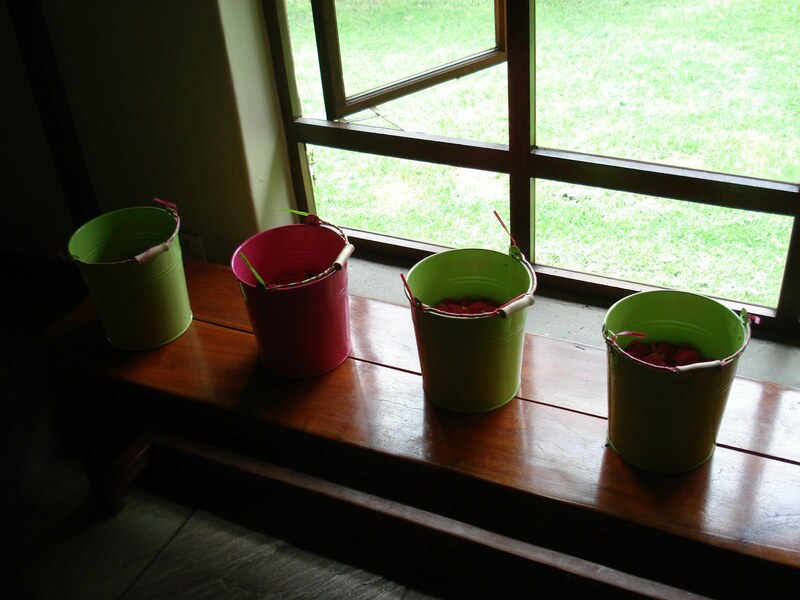 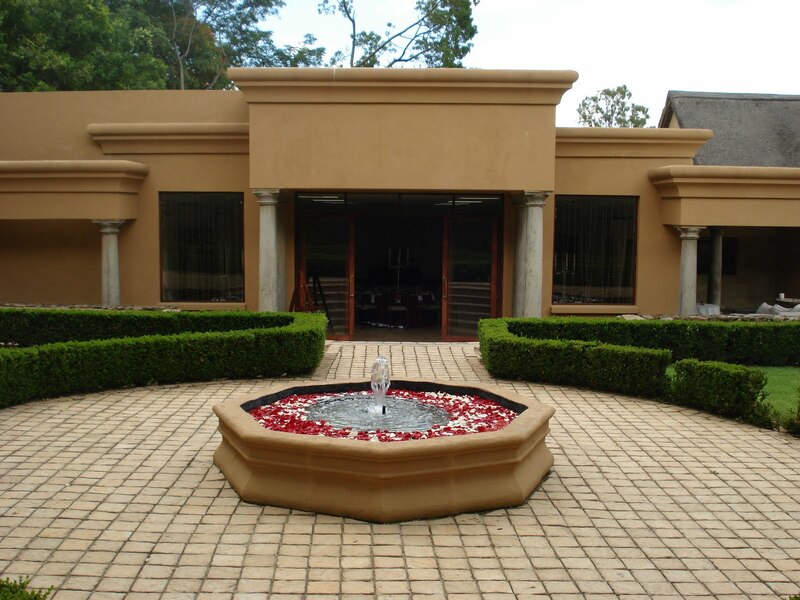 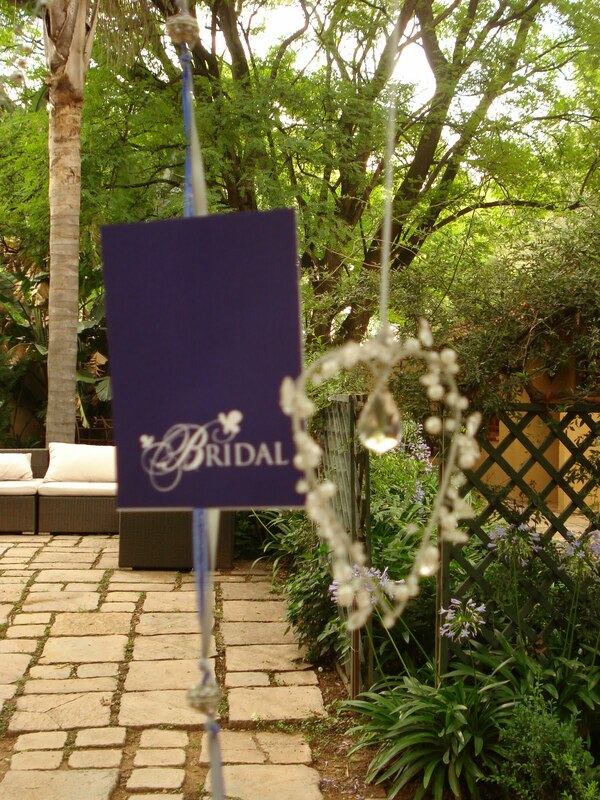 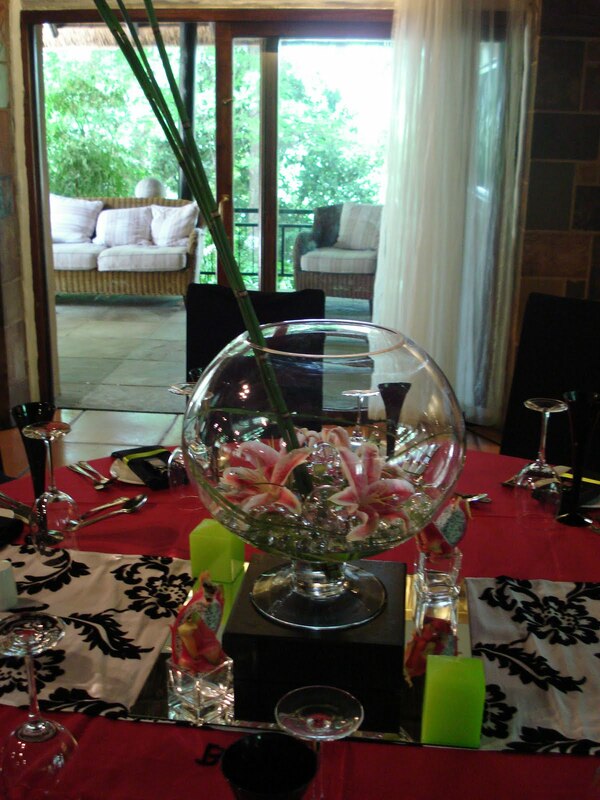 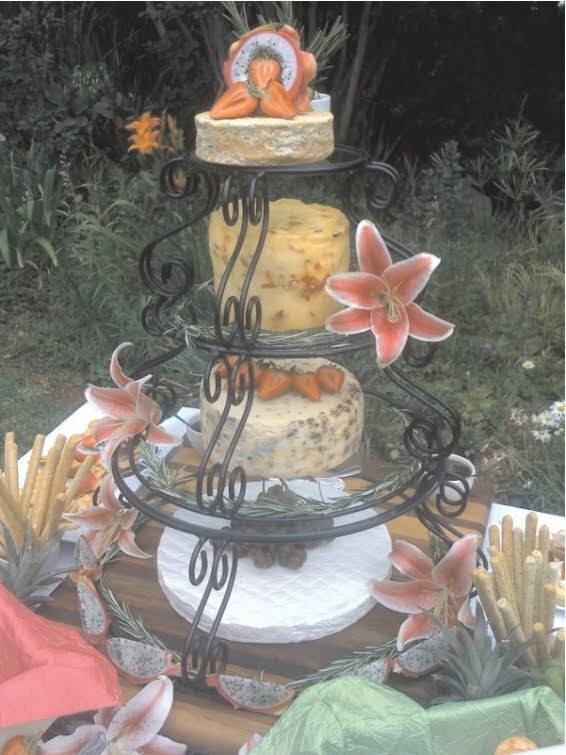 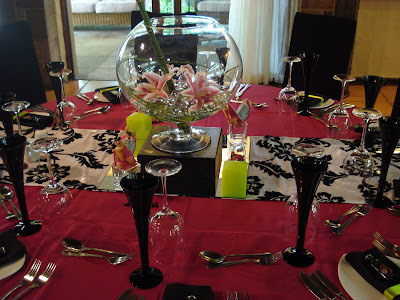 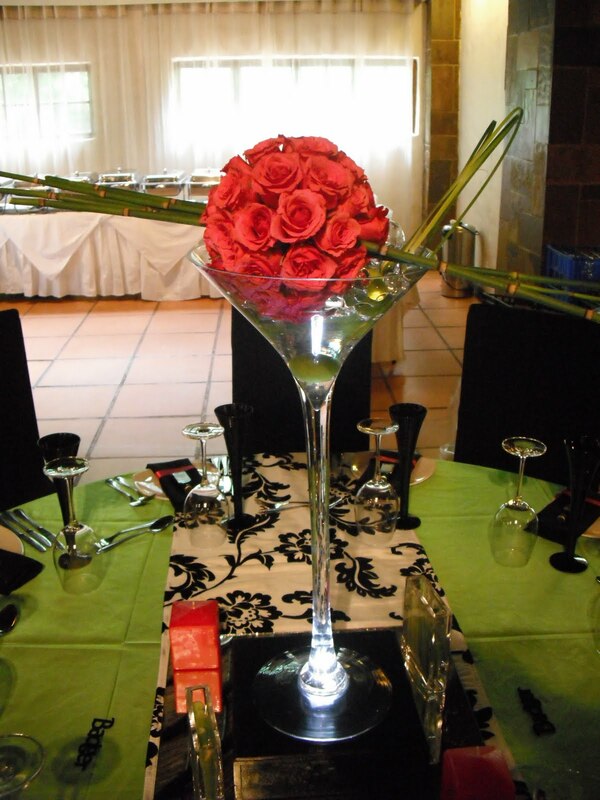 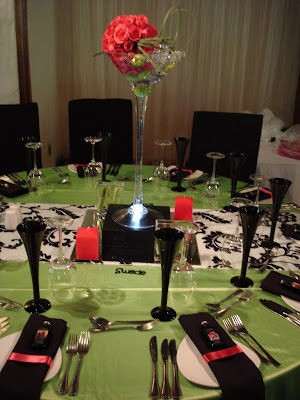 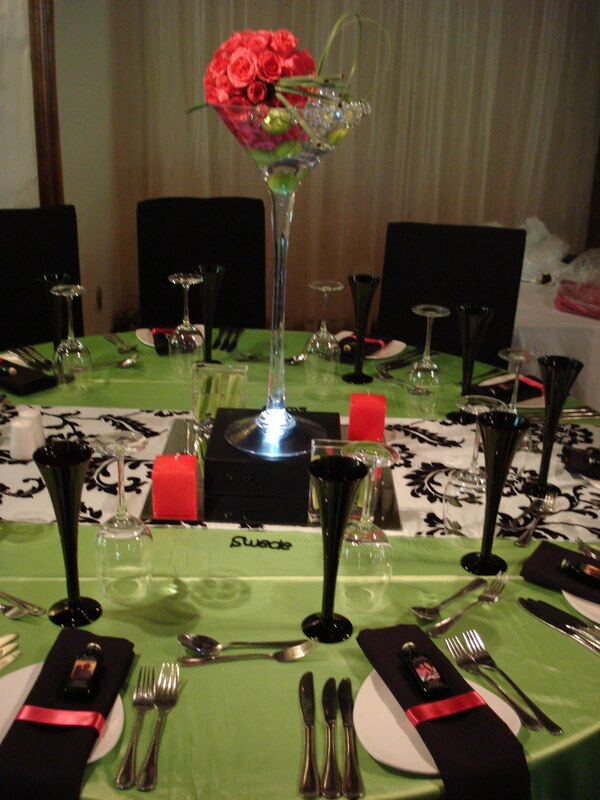 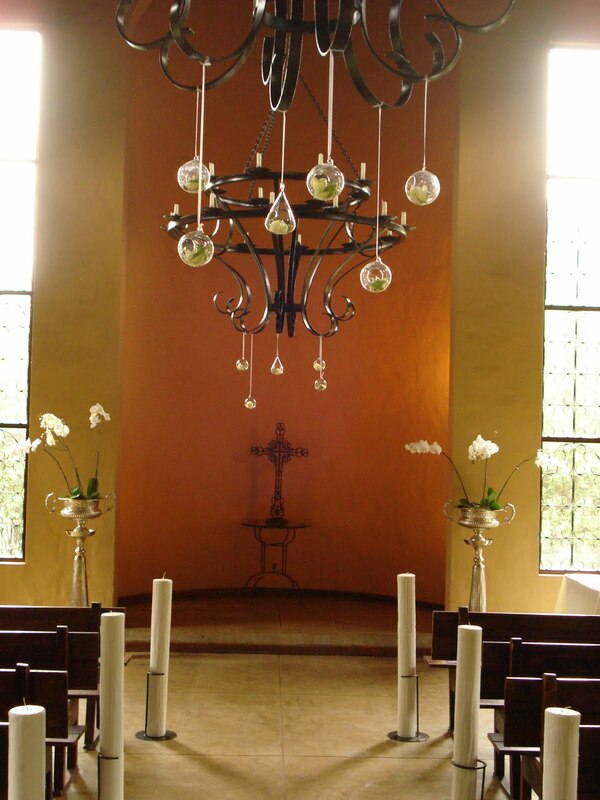 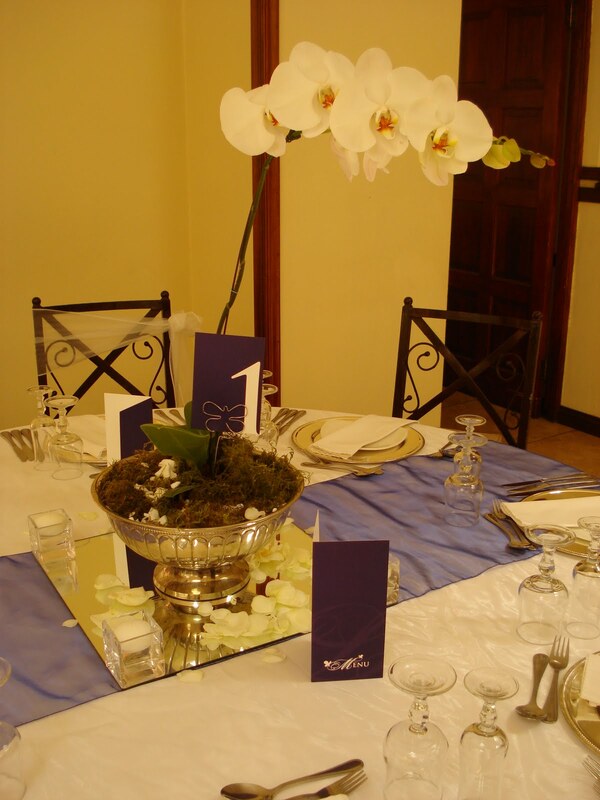 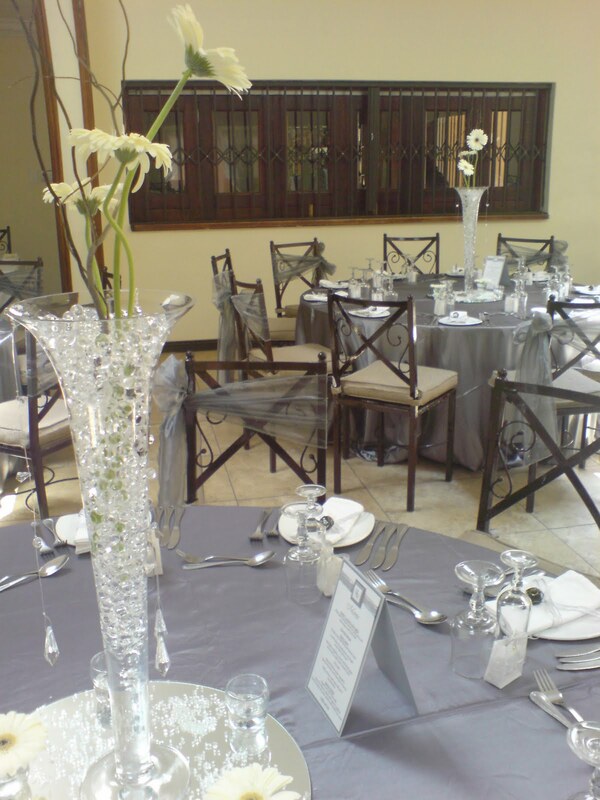 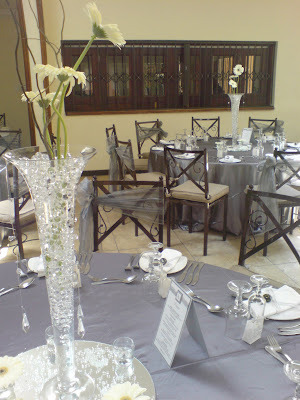 Their centre pieces were a real focal point "
18th December 2010 - Farthing Venue.
" 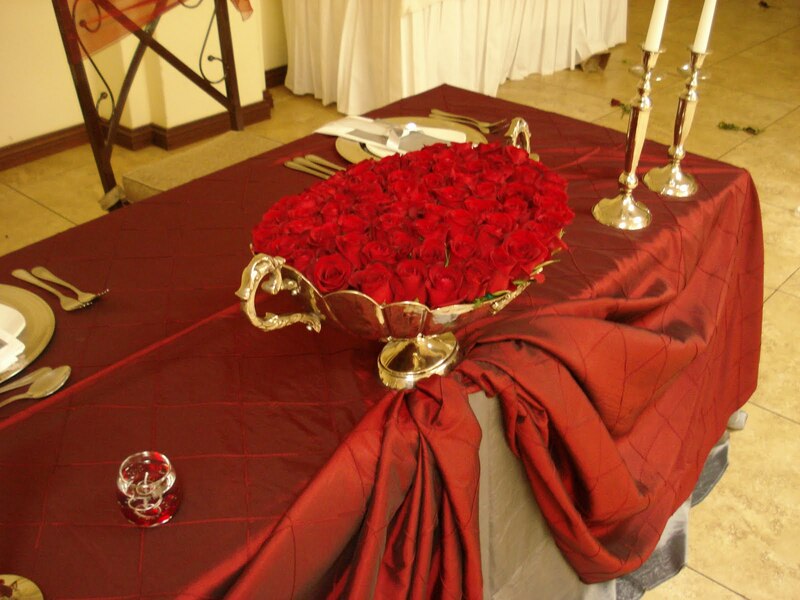 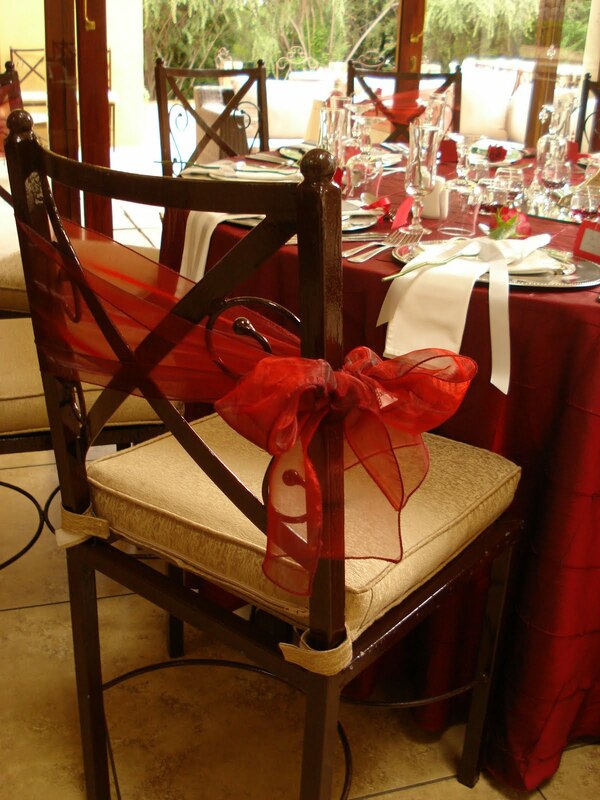 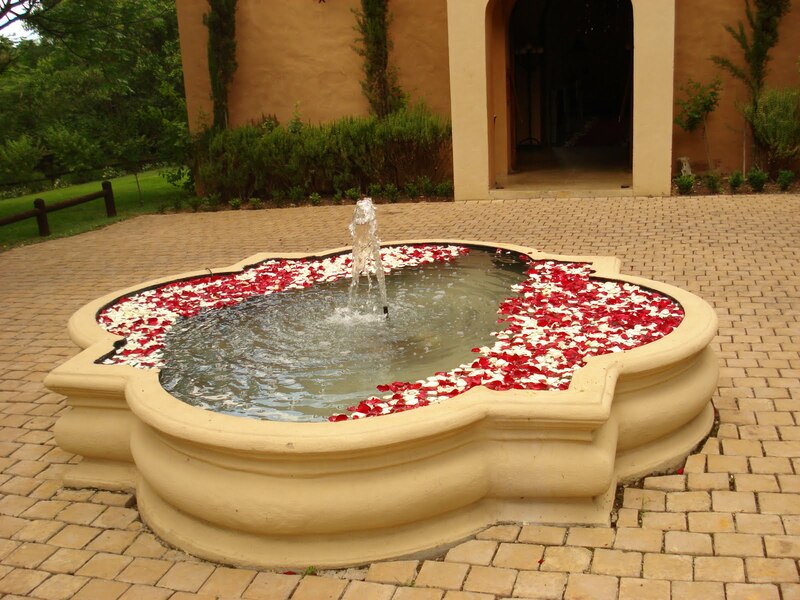 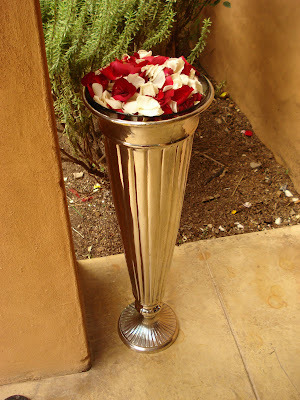 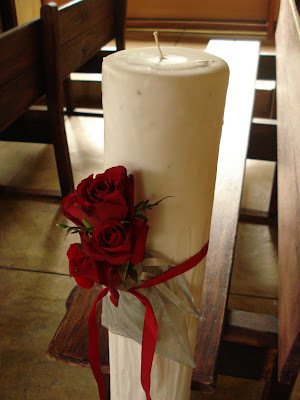 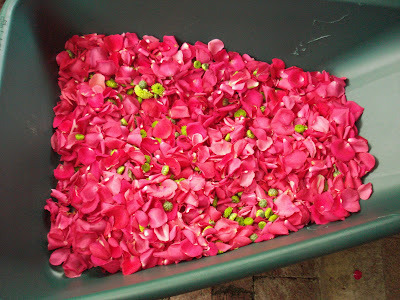 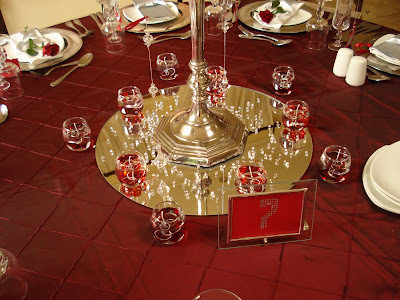 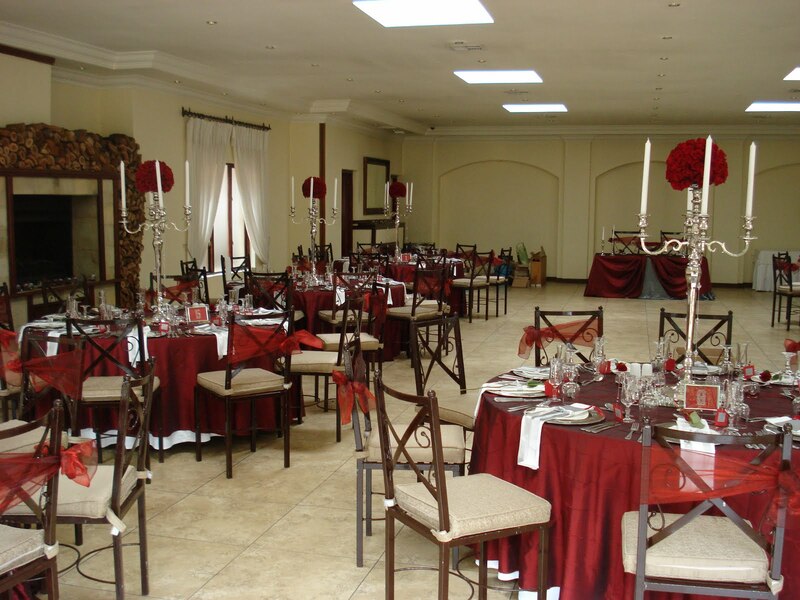 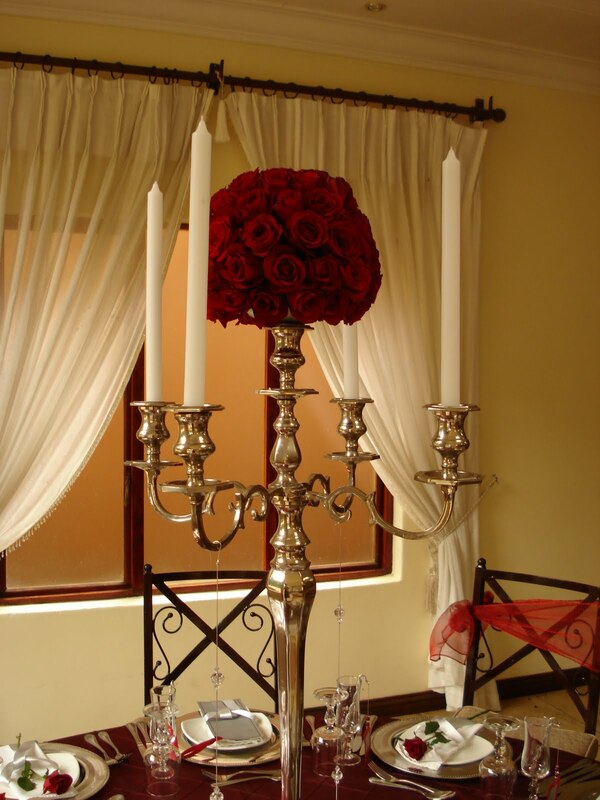 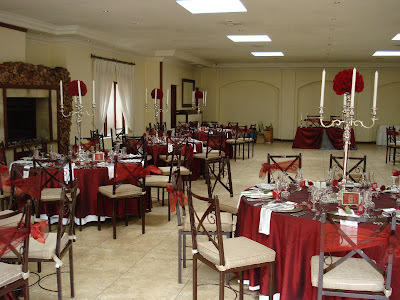 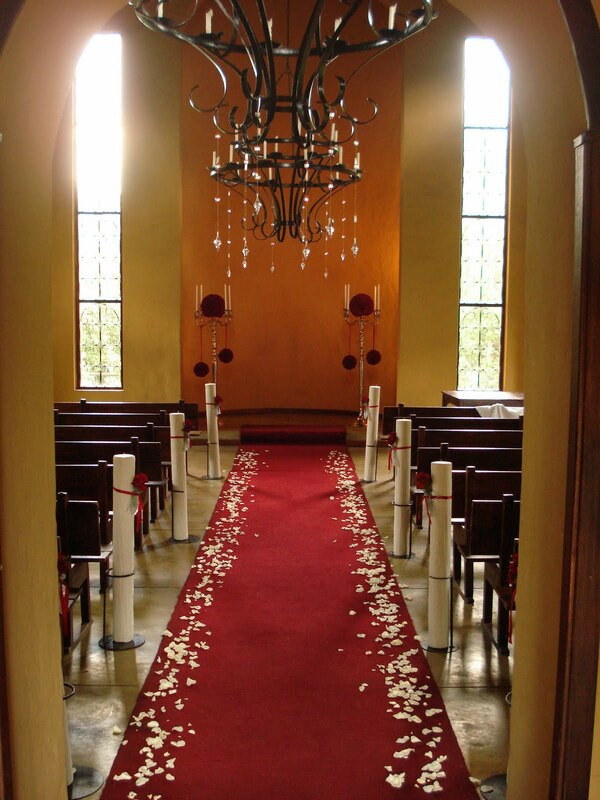 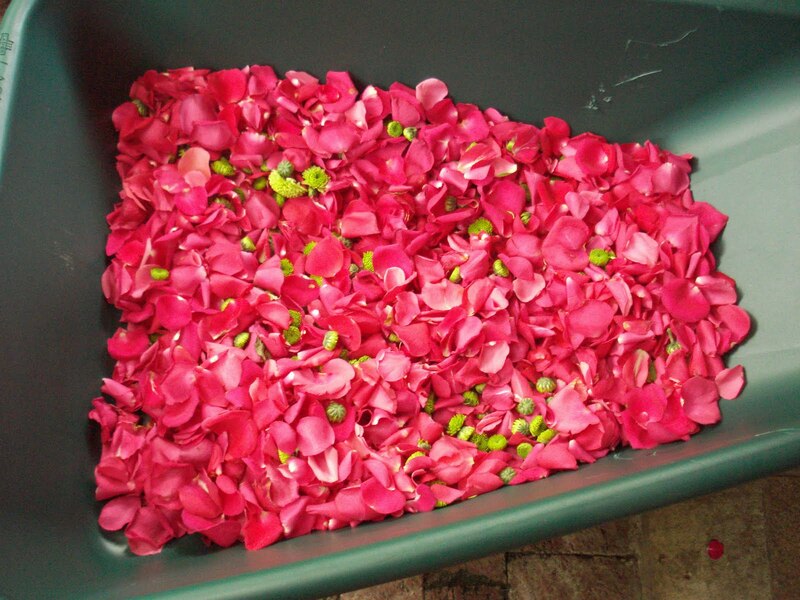 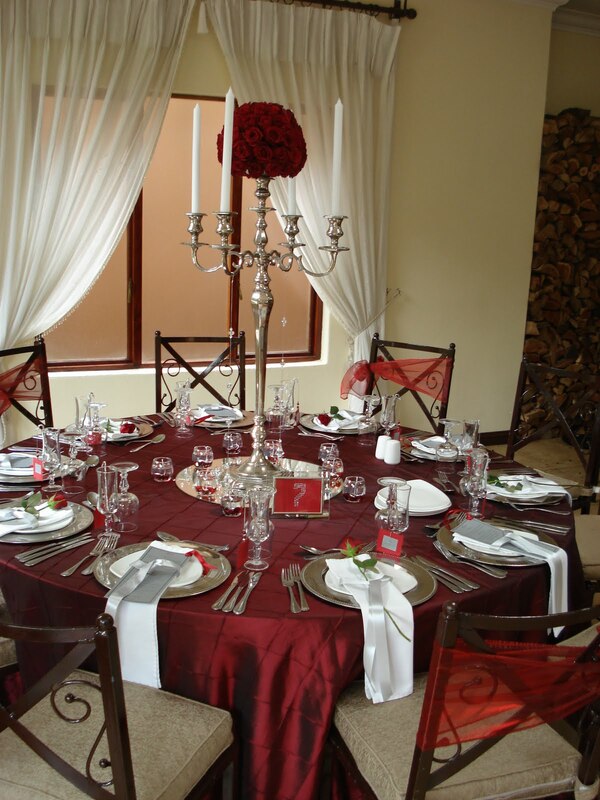 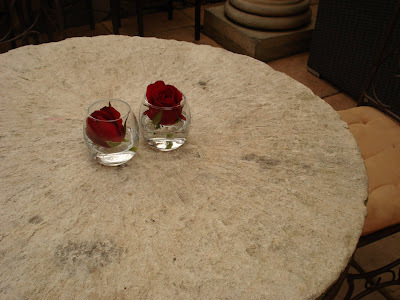 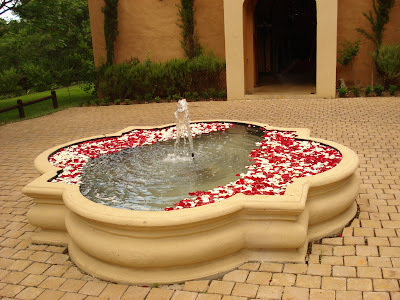 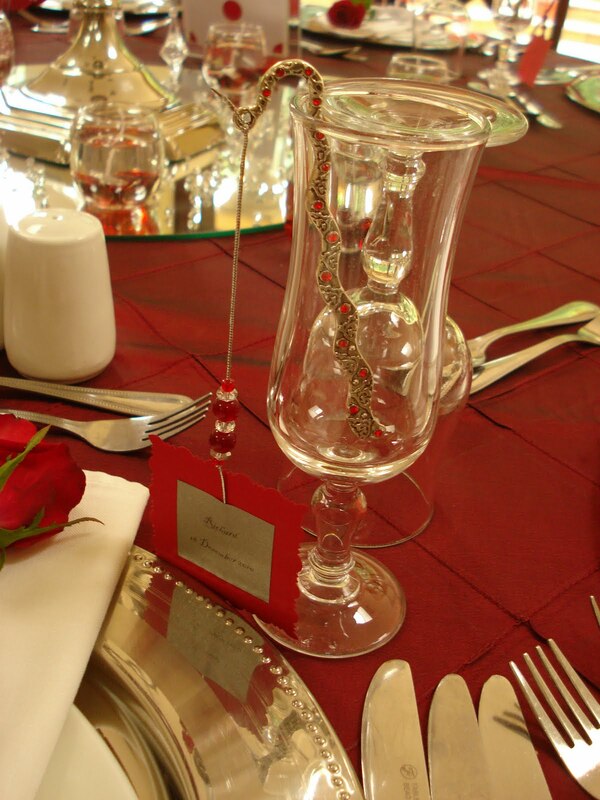 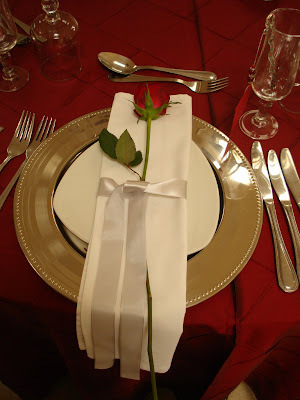 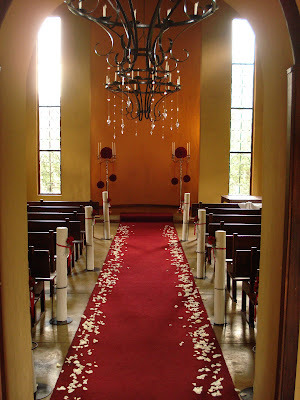 The classic combination of red roses and silver decor always looks beautiful. 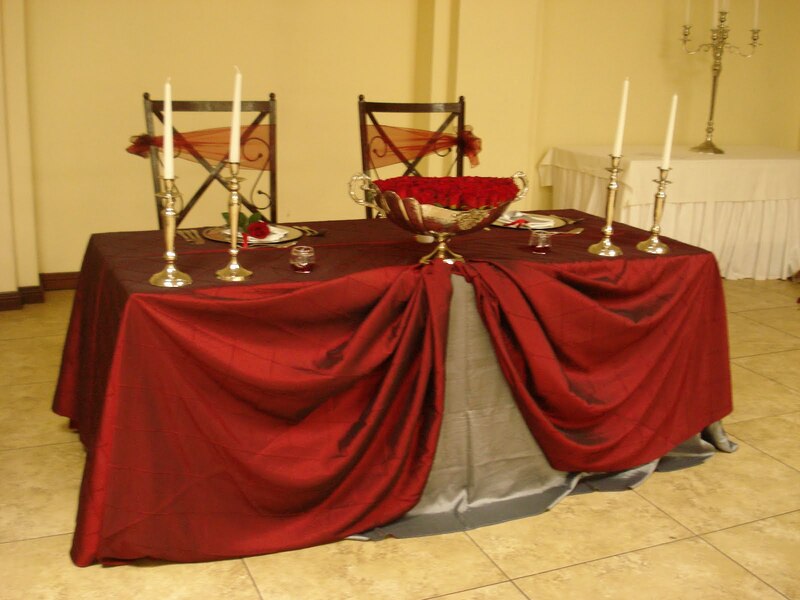 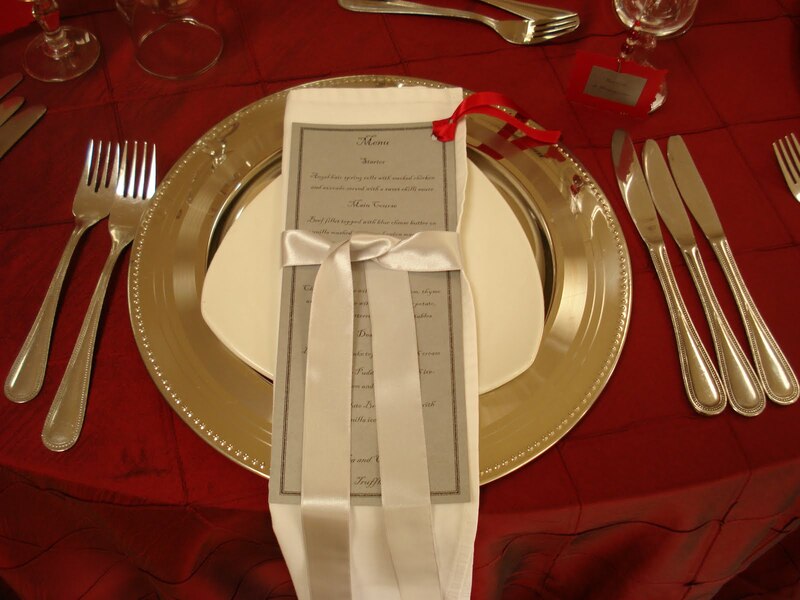 The Red Taffeta tablecloths really completed the whole look! "